The Subaru Impreza is an automotive legend that immediately conjures imagery of blue and gold cars flying through rally stages. The beauty of this Japanese performance saloon was that the four-wheeled rally heroes on TV weren’t far removed from the actual car you could buy at the dealer. Turbocharged, all-wheel drive, and equipped with that distinctive boxer engine, the Impreza is a real fan favourite. However, amongst the mass produced rally fighters was a unicorn that every Scooby fan desired. The 22B STi. This two-door model is a true Japanese exotic built to celebrate Subaru’s three consecutive World Rally Championship titles, and the marque’s 40th anniversary in 1998. Subaru had gone from boring family cars to raging turbocharged icon in quick succession, and so the 22B was the perfect way to mark the occasion. Most special edition cars consist of some unusual paint, the odd sticker, and a few extra luxuries. However, Subaru wanted to create a landmark car worthy of a place in its golden era. Extensive surgery resulted in a wider track, exotic suspension, adjustable rear wing, larger brakes, and fatter tires. Sitting with an aggressive stance, it looked like a rally car just waiting for its livery to be applied. The beauty of this car is more than skin deep thanks to a larger 2.2-liter engine. This EJ22 unit with its larger capacity was turbocharged, and made use of forged pistons. A reinforce drive and prop shaft was required to handle the extra power and torque being sent to all four wheels. Power is quoted at 280hp, and when teamed with a short ratio gearbox, could get this Subaru from 0-60mph in less than 5.3 seconds. Needless to say, these cars were in high demand — especially with production being pegged at 399 examples for Japan only. It is said every unit was spoken for within 48 hours, making the 22B Subaru’s fastest selling car ever. Interestingly, Subaru never numbered car 13 as it was seen as unlucky. 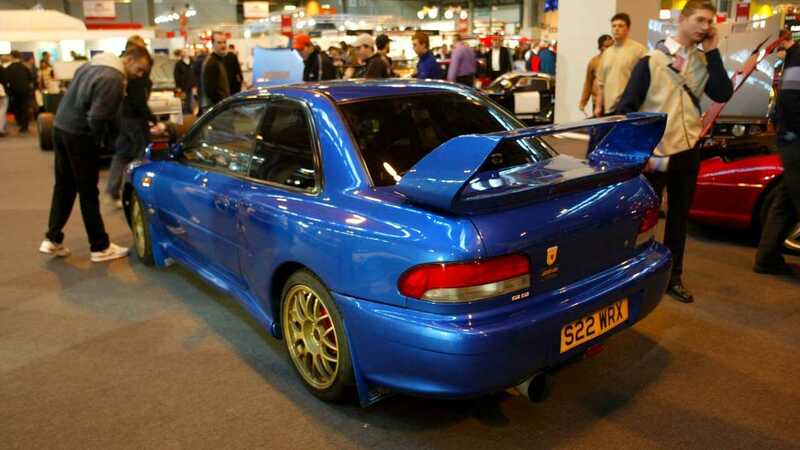 The 22B was so sought after that it is reported that even Subaru’s rally ace Collin McRae had to pay for his own. 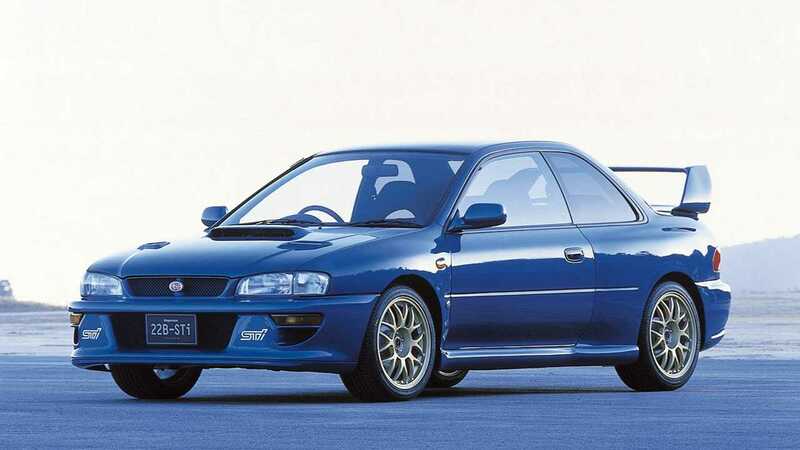 Subaru decided to make 24 more 22B STis (16 UK car and 8 for Australia) for key Impreza markets. The UK in particular was an important customer base for the brand, so much so that cars destined for the island nation were specially tuned. UK cars were modified by Prodrive, the same team responsible for the WRC cars, and featured modified brakes as well as altered suspension. In 2016 one of these UK examples sold for $96,000 with Silverstone Auctions. It is very rare to find a 22B for sale today, but 4 Star Classics is currently offering what might be the best preserved example. The asking price for this 25,000 mile car is an incredible $145,000. The Subaru Impreza 22B STi is arguably the most coveted road car from the world of rallying. Want A Brand New Honda S2000 That's 10 Years Old?